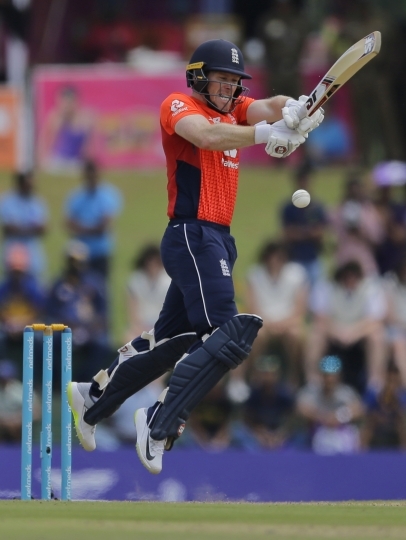 DAMBULLA, Sri Lanka — Half-centuries by captain Eoin Morgan and Joe Root set up England's win over Sri Lanka on the Duckworth/Lewis method in another rain-hit one-day international on Saturday. 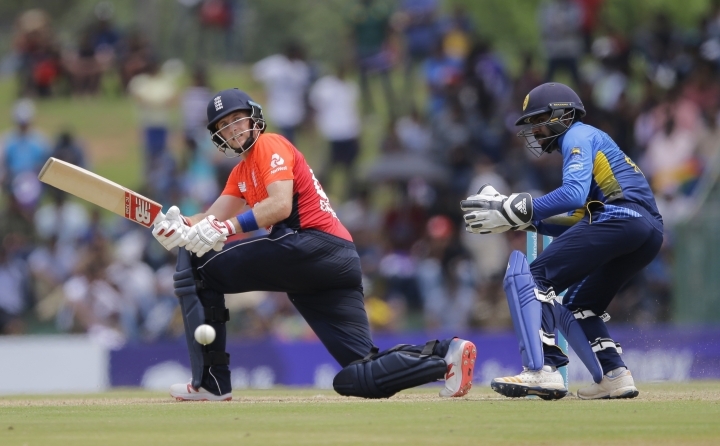 England made 278-9 in 50 overs, and Sri Lanka was 140-5 when rain stopped play after 29 overs. Sri Lanka was 31 runs short of what it needed under the D/L calculation, so England won by 31 runs. 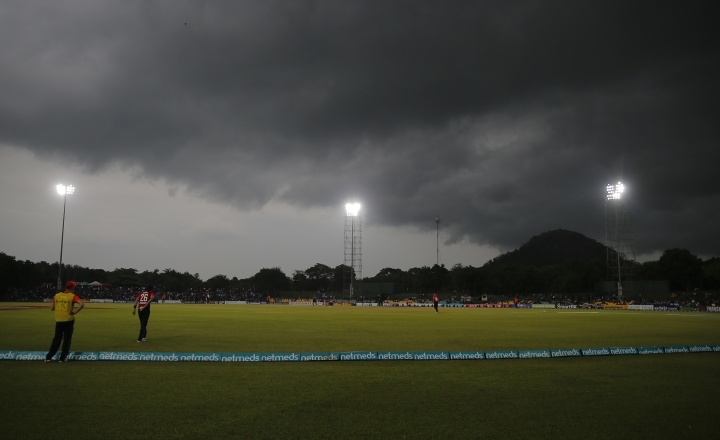 The first ODI on Wednesday was rained out after only an hour's play. England leads the five-match series 1-0. The next one is on Wednesday. Sri Lanka won the toss and wasted fast bowler Lasith Malinga taking 5-44. He removed Jason Roy without a run on the board. Root joined Jonny Bairstow and the pair added 72 runs for the second wicket before Bairstow was bowled by seam bowler Thisara Perera for 26. Root added another 68 with Morgan before being dismissed for 71. He faced 83 deliveries and hit six boundaries. Morgan fell eight runs short of a century, caught and bowled by Malinga. Morgan's aggressive innings came off 91 deliveries and included two sixes and 11 boundaries. 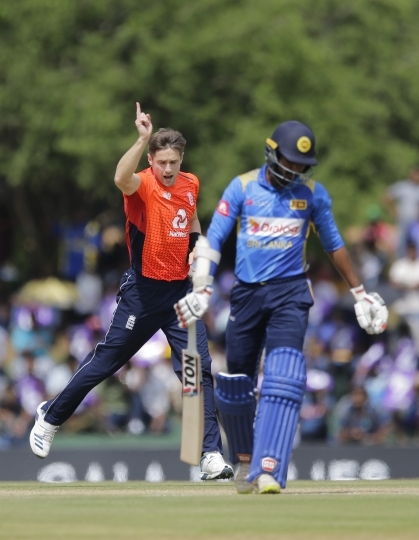 England fast bowler Olly Stone, who could not bowl a ball on his debut on Wednesday, struck with the last ball of his first over by removing Upul Tharanga with Sri Lanka's score on 9. The hosts soon stumbled to 74-5 as Chris Woakes took 3-26. Thisara Perera, 44 not out, and Dhananjaya de Silva, 36 not out, shared an unbroken 66-run stand in their attempt to rescue Sri Lanka but their effort was curtailed by rain at the end of the 29th over.